Choose firm pears for baking. 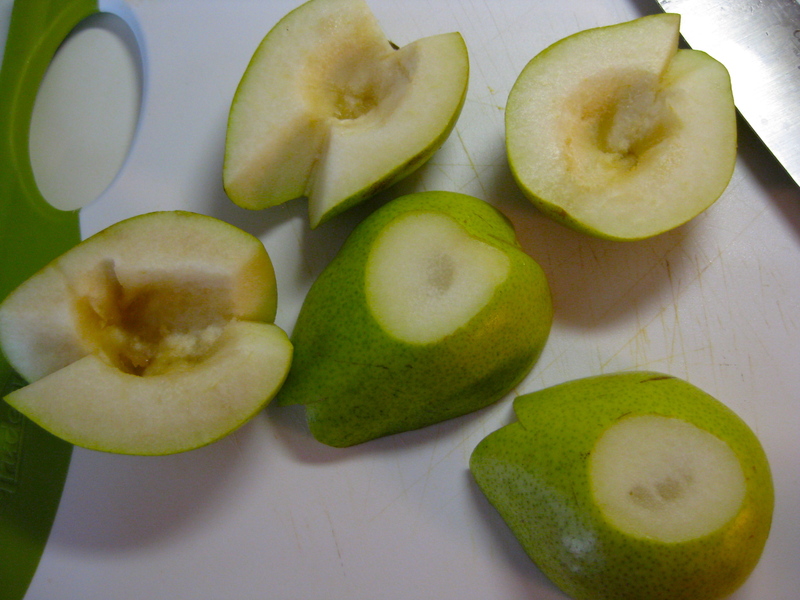 Slice in half, core, and slice a portion off the bottom so they will lie still. Pears are so hot right now. Place in a baking dish and bake at 375 degrees for 15 minutes. The skin will go from green to brownish. Slice the pear and avocado and combine all ingredients. 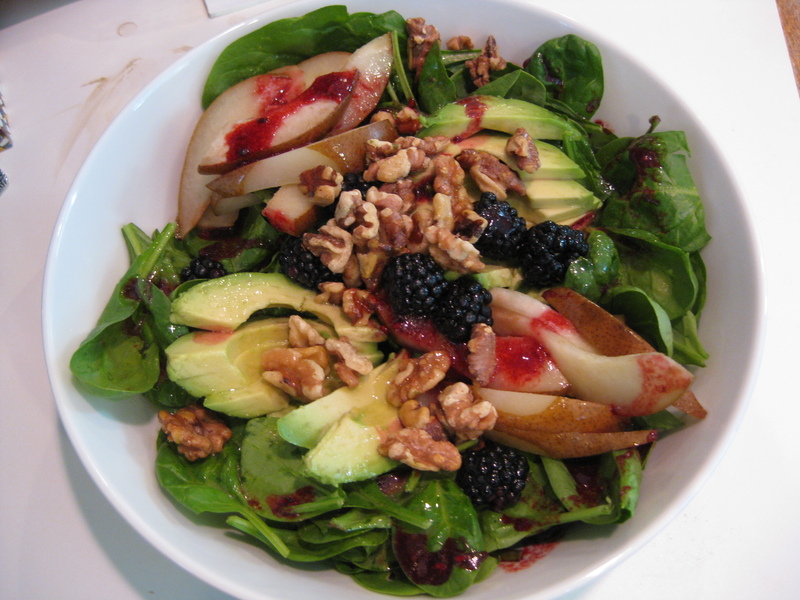 I crushed the blackberries and strained out the seeds to add a blackberry drizzle to the salad.